Now available from Absolute Office Centre, Examination tables & chairs for hire. Rental for short or long term requirements for all Colleges, Universities & High Schools at Examination time. 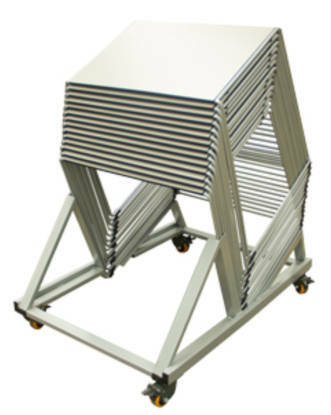 We will deliver & collect to all Victorian locations & have trolleys to facilitate easy delivery. 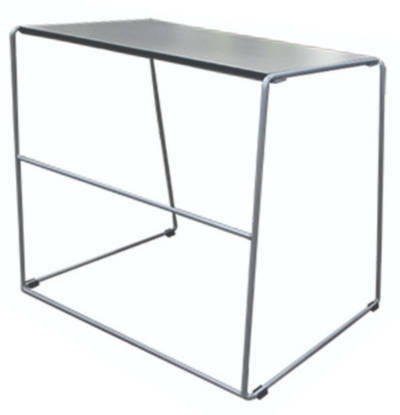 The Compass Exam Table measures 700mm x 500mm x 730mm high. We have stock holdings for urgent short term requirements or for long term requirements. We can supply these examination tables with our Wimbledon exam chair or on its own. The Compass exam table is sturdy & economical on space usage, which allows more tables into a confined space. Please contact us for assistance in layout for a room as we can assist with calculating the available capacity of any given room. In addition to the exam chairs & tables we hire, we also have many other styles of student or lecture theatre style chairs to rent. 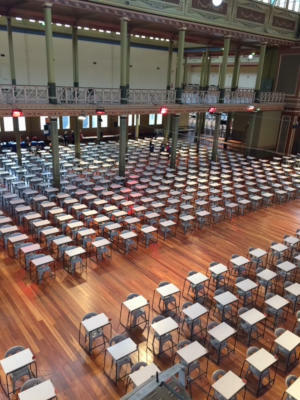 Please Note: At this time these specific examination chairs & tables are only available in Melbourne and throughout Victoria. If you are interstate, please contact us on 0418 574 767, email us or use our Inquiry Form to discuss your requirements. To make an inquiry regarding examination chairs & tables for rental or hire, please feel free to contact us either by telephone (on 0418 574 767 or in Victoria on (03) 8420 7788), email or by using our Inquiry/Booking Form. We will endeavor to respond to your email or Inquiry Form submission for rent chair within 24 business hours. As our stock changes regularly, it is not possible for us to list all our exam chairs & tables for rental on this site. 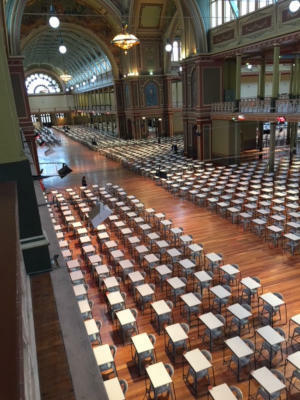 If you cannot find the exam chair or table you are looking to rent or hire here, please feel free to call us (on 0418 574 767 or in Victoria on (03) 8420 7788), email us or use our Inquiry/Booking Form to make an inquiry. We will endeavour to respond to your inquiry within 24 business hours.